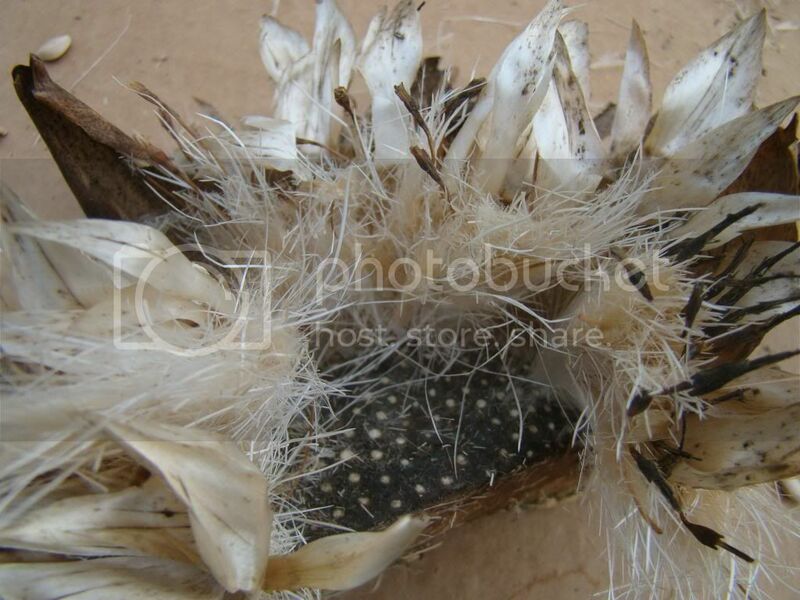 So tell me about saving, curing and sowing of globe artichoke seed. I don't know the variety, so I cant tell you if they are hybrids or not. Am I wasting my time??? I have a question. Sometimes I save seed but it gets moldy especially when it goes in a out of the frig a lot. Somebody said they put a desiccant in with the seed. What can I use for a desiccant? I save the silica gel packs, but I use it to keep the cat food and rice fresh. What else can I use? Powdered milk or instant rice. DE. Do you have the seeds in plastic bags? I have heard it's better in paper coin envelopes if keeping in the fridge. Eric, are you getting enough thistle down to use as pillow stuffing? I've not had an issue with moldy seed in the refrigerator. I use a basic ziploc bag. I do have a vacuum sealer. Maybe I should seal them and refrigerate. Hmmm. 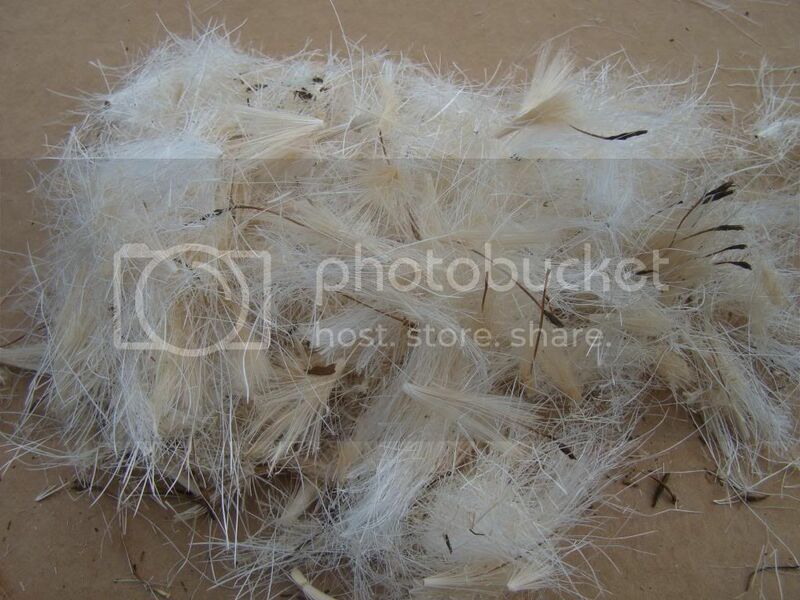 Seeds should be stored in an airtight container where the natural elements cannot effect them. Many people use their refrigerators, freezers and basements as a storage facility for seeds. Keeping seeds at room temperature will cause the embryo to consume its stored sugars within the seed casing and will either get too weak to germinate or die altogether. Seed packets typically have a â€œuse byâ€ date. Once the seed packet is opened, the seeds should be used that season. â– Freezing the Seeds - Freezing seeds will put the embryo into suspended animation reducing its need to consume the sugars that are encased in the seed. This increases itâ€™s storage life immensely. If the seeds are frozen, they should sit at room temperature for a few days before they are planted. 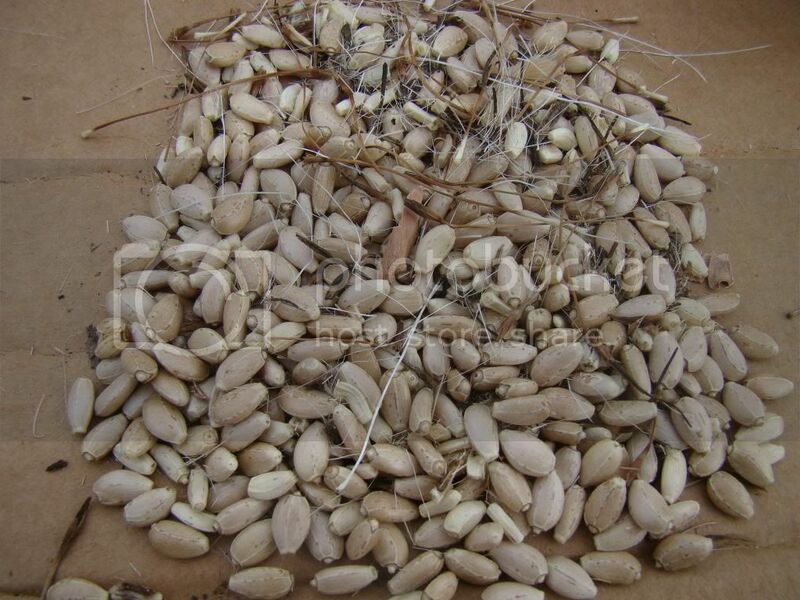 This is the preferred method of seed storage by leading farmers and agriculturalists. â– Refrigerating the Seeds - Storing seeds in the refrigerator is another method of prolonging seeds lifespans. Some put the seeds in a zip-loc bag than then place it in a brown bag so that light cannot permiate through to the seeds. Another method is to use a smaller zip-loc bag, add the seeds and close them up. Get a larger zip-loc bag and place a moisture absorbing material such as dry milk or dry rice to the main large zip-loc bag and then add the smaller bags containing the seeds. Use large bubble mailer to store the large zip-loc bag into and place it in the upper back of the refrigerator and use rubber bands to keep the bubble mailer sealed. â– Vacuum Sealing Seeds - Many believe that vacuum sealing the seeds is the best course for long term seed storage. 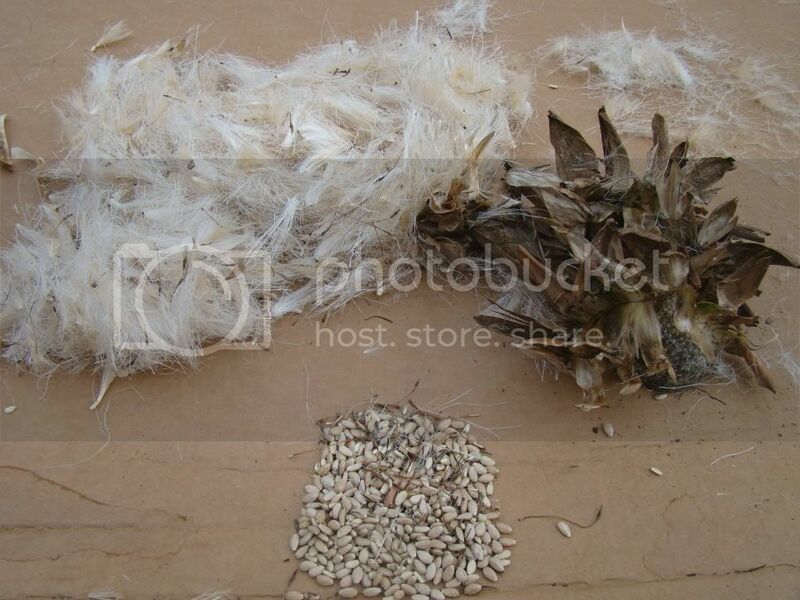 However, some believe this method would harm the seeds due to the absence of the oxygen the seeds need to stay alive. Vacuum sealing does extend the life of the seeds by keeping out the natural elements such as excessive moisture and oxygen. If a person lives in a climate where there is high humidity, then this method would be the preferable one. Storing the seeds in a mylar bag or in a dark container where sunlight and moisture cannot get to it is ideal. â– Paper Envelope Storage - Storing seeds in paper envelopes and then storing them in waterproof containers with gasketed lids or in mason jars is another preferred storage method. One can add desiccant (a substance that removes moisture from the air) to ensure the seeds are not exposed to moisture. Using aluminum coated plastic bags in lieu of the paper envelope can also be used. The seeds should be stored away from sunlight in a cool, dark area such as a refrigerator or dark room. I use double paper envelopes (small envelopes inside large heavy mailing envelope) in the freezer and it has worked well for me. A stout bag and a baseball bat went a long way (for me) in separating seed from its chaff. My trusty soil sifting set helped with sifting. I was always slow to jar seed. It seemed to me to take about six months to dry seed adequately, before storing them inna jar. I do store them in zip loc bags. The ones that got moldy had a lot of seed in them and not much space to move around. Maybe, next time I'll put them in more bags. Thanks for the tip on the envelopes and the powdered milk and rice. I'll try some of that. I have some eggplant, squash, and papaya seed drying now. The kabocha seed got moldy while drying so I don't know if they can be saved.